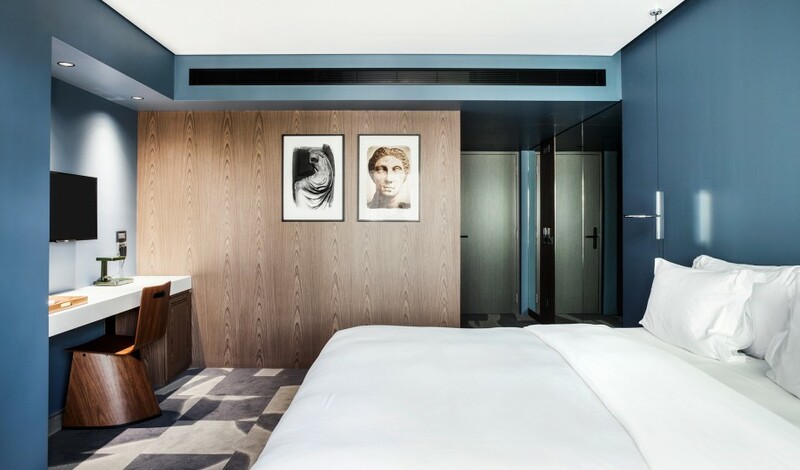 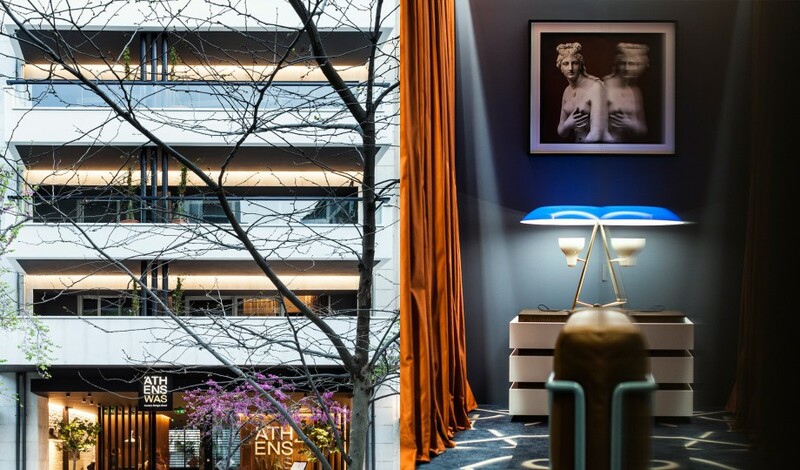 —Cool-eyed dedication to modern luxury makes AthensWas hotel a welcome reprieve in the buzzing historic center of this Greek megalopolis. 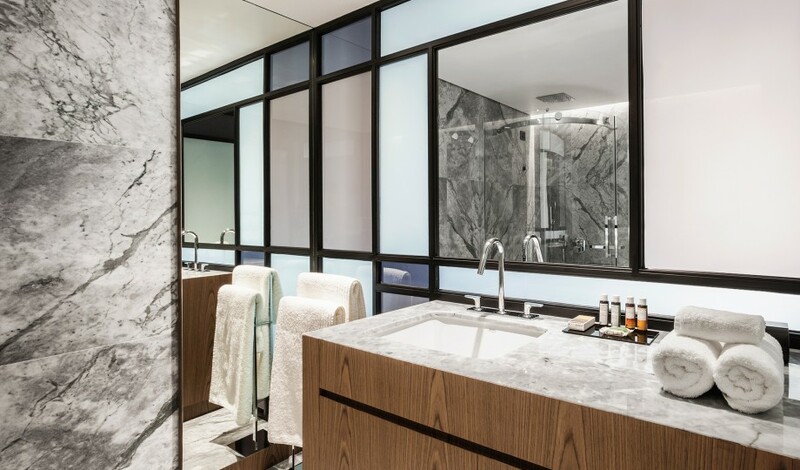 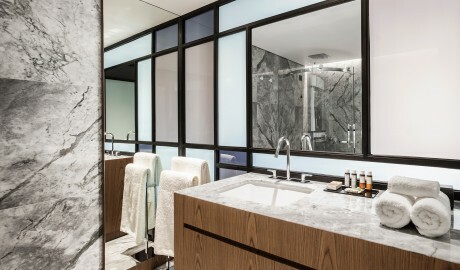 One of the latest addition to the Athens boutique hotel scene is a glossy, marbled ode to one of the city’s famed architectural highlights: classic modernism. 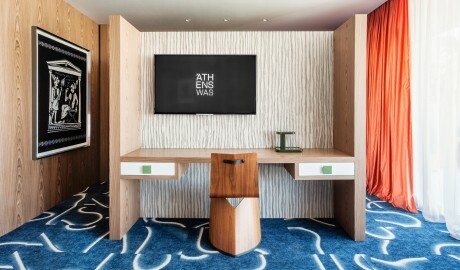 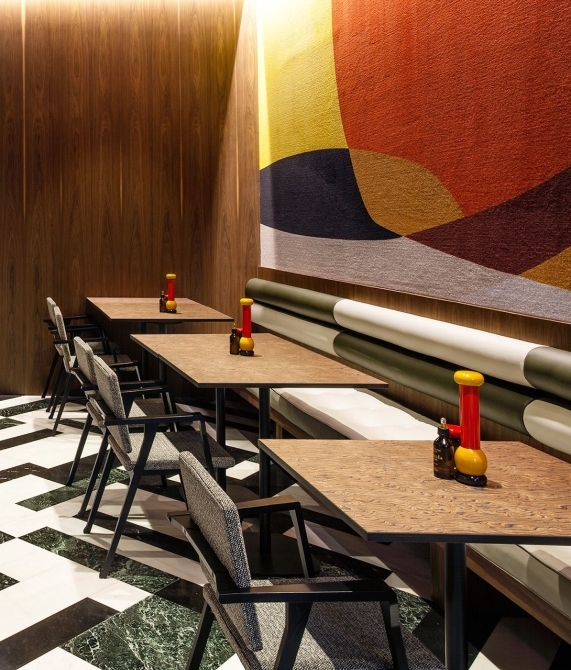 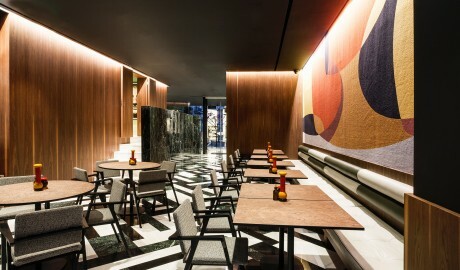 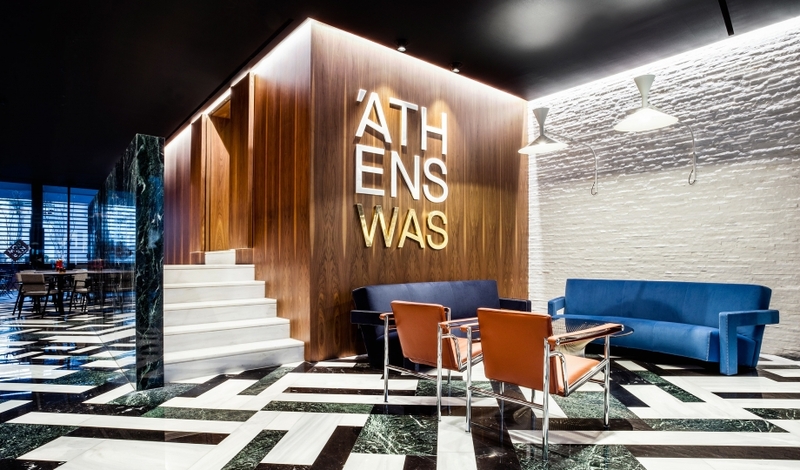 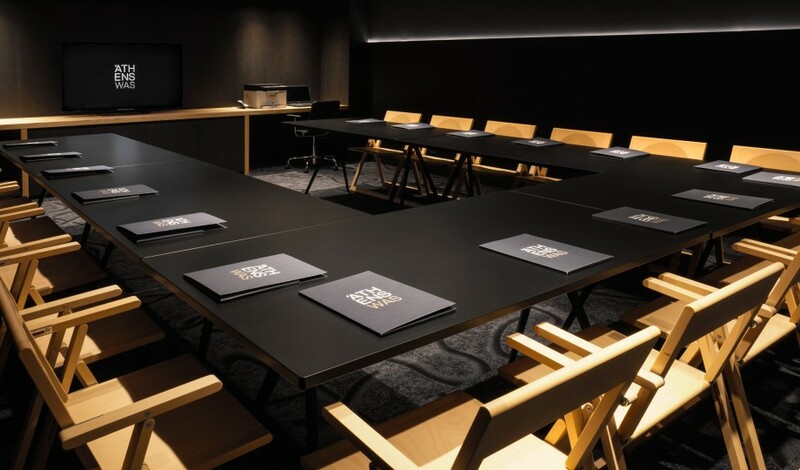 The frenzied glory of a movement that thrived from the 1950s to the 1970s has been reenergized at the AthensWas hotel in a fresh, modern way thanks to celebrated Greek design practice, Stage Design Office. 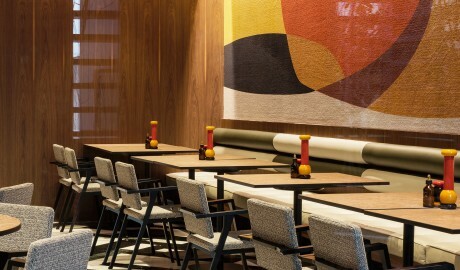 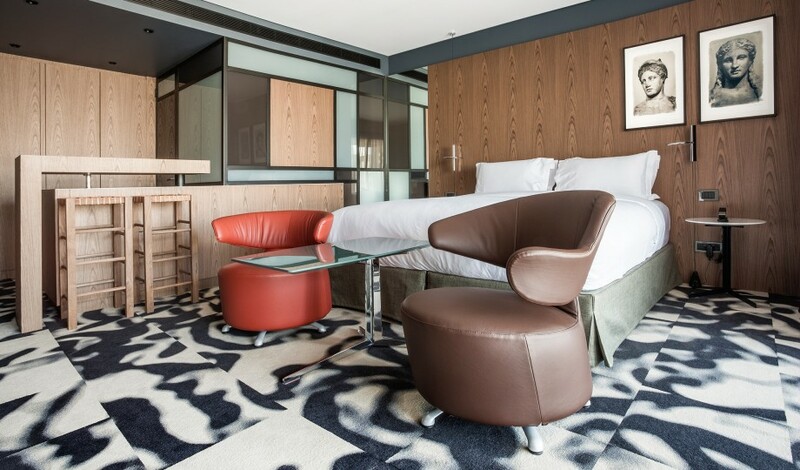 Iconic furniture by modern masters such as Le Corbusier, Ettore Sottsass, Michael Graves, and Konstantin Grcic place the hotel right up there with other sites of import in the city. 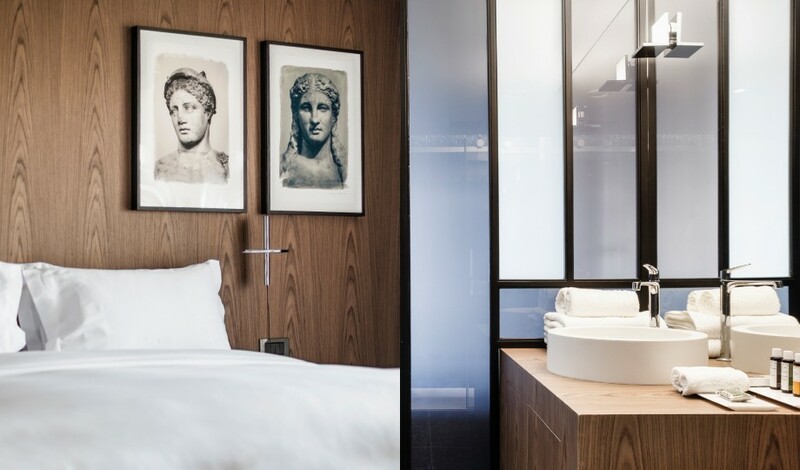 Steps from the Acropolis, Syntasma, and other historical gems, the hotel also masterfully incorporates the timeworn city’s rich past with elements that reference ancient Greek forms and architecture. 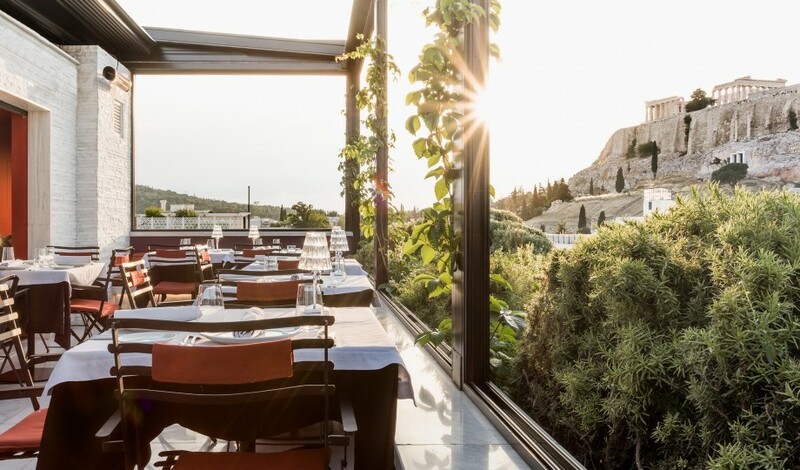 Modernity, however, reigns in the restaurant and rooftop bar where quality and simplicity are valued, and the best views of Athens relished. 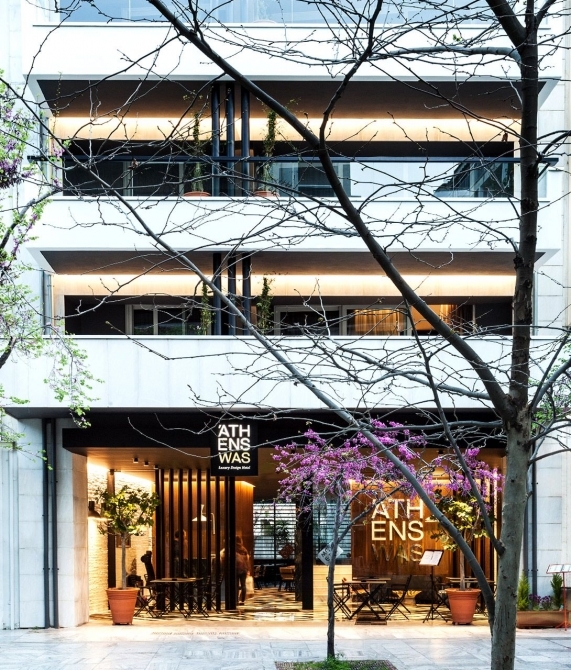 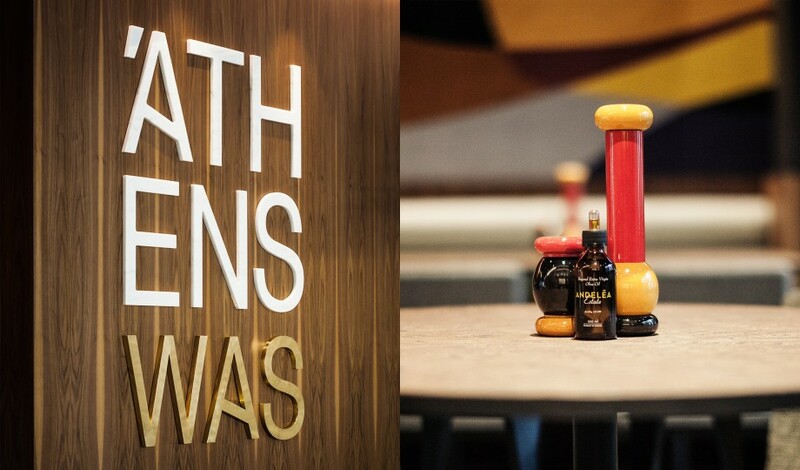 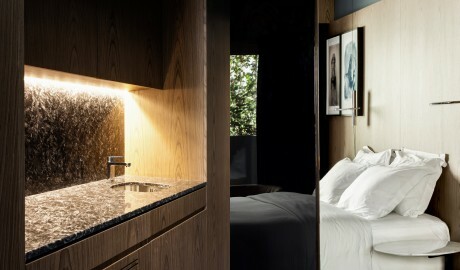 The rooms and suites at AthensWas range from 28 square meters (301 square feet) to 55 square meters (592 square feet). 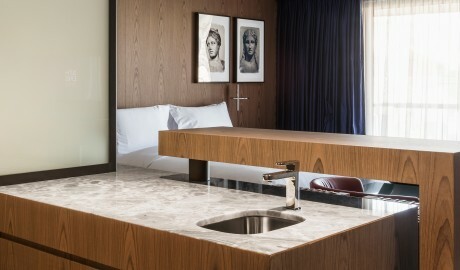 All guestrooms are cocooned in walnut wood and feature work desks and balconies. Details such as soundproofing, blackout curtains, and pillow menus ensure that you can shut out the bustling street outside and get a good night’s sleep. All suites come with a separate sitting room and have envious views of historic Athens. 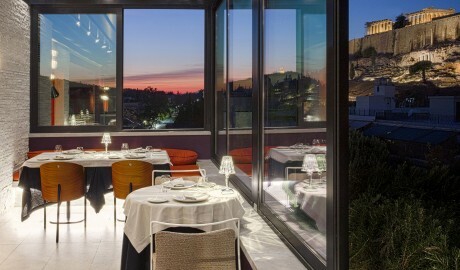 Stay at the AthensWas or the Hellenic suite, for example, and you don’t need to step out to see the Acropolis. 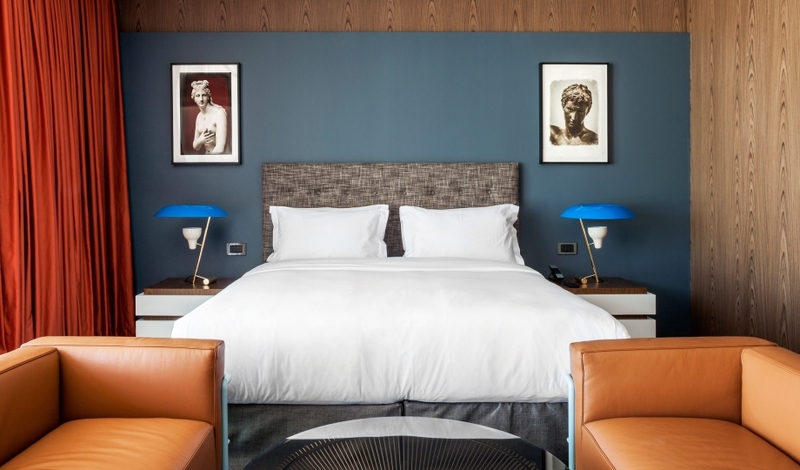 Artistic references to Greek history adorn walls in guestrooms and communal spaces, which see myriad hues of marble and an overall pristine-yet-playful aesthetic. 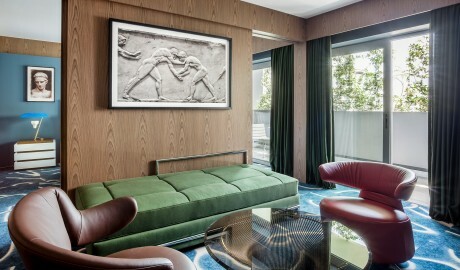 Street-level glass walls invite guests into a classic-modernist structure of marble, walnut wood, and spacious balconies. 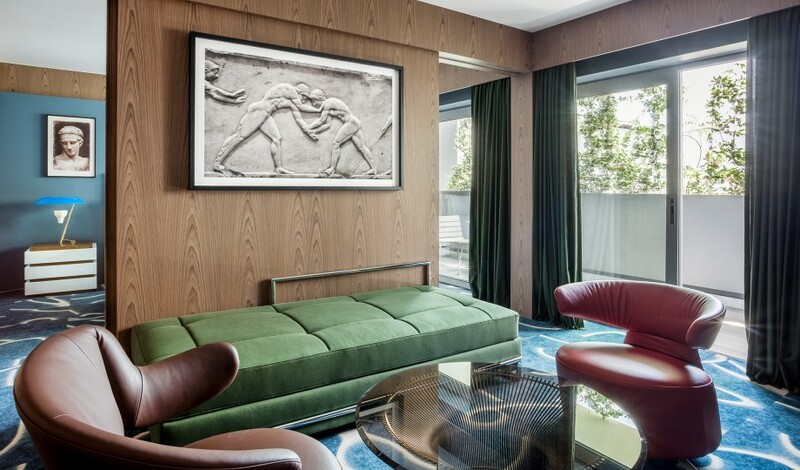 Like his work, nothing about Stavros Papayiannis is straightforward. 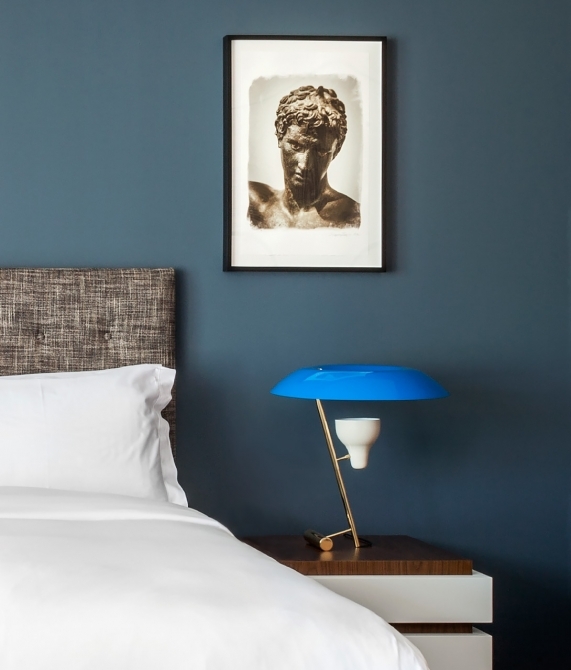 Having initially studied Anatomic Pathology, the Greek maverick did a complete about-turn in 1988. 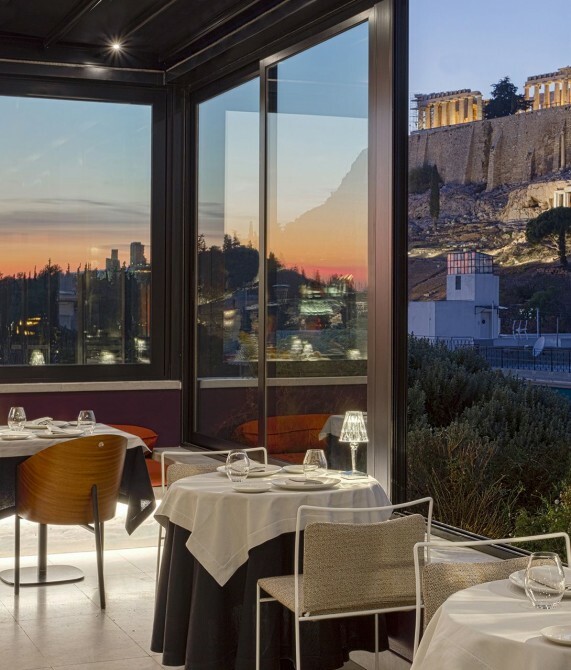 Co-founding the multifaceted design studio DeArte, the completely self-taught designer took on interior design, graphic design, and art commissions before establishing his current company, Stage Design Office, where AthensWas and Anemi add to his growing collection of stunning boutique hotels in Athens and Folegandros Island, respectively. 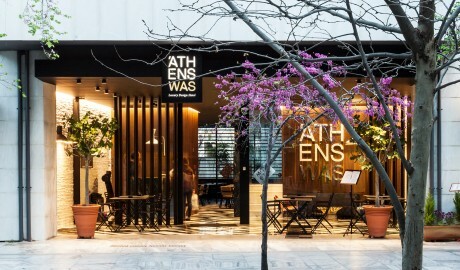 Renowned in Athens—where he still lives and works—he’s distinguished by his unique approach to design, likening the designer/client relationship to that of a patient and a doctor, no doubt a lingering hangover of his medical training. As Athens’s oldest district, Plaka is flush with traditional Greek relics and monuments. 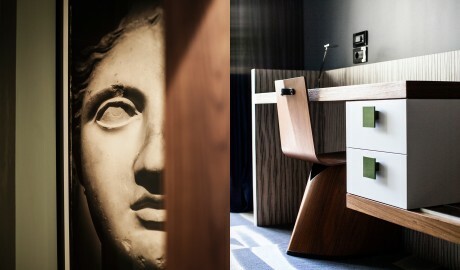 It’s also well located, making it a great spot to take in the city’s attractions, both old and new.